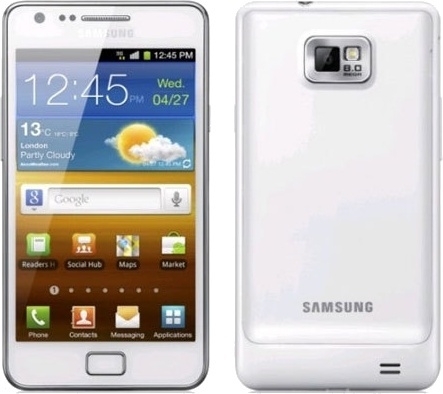 White Samsung Galaxy S II heading to British carriers | Android Blast! A white version of the Samsung Galaxy S II is heading to British carriers starting September. British networks O2, Orange, Three and Vodafone are listing the white version of Samsung's Galaxy S II on their "coming soon" pages. T-Mobile UK has not yet listed a white version, but it seems obvious that they will offer it sooner or later. No word on any pricing changes so we're assuming the price will remain the same as the black version.